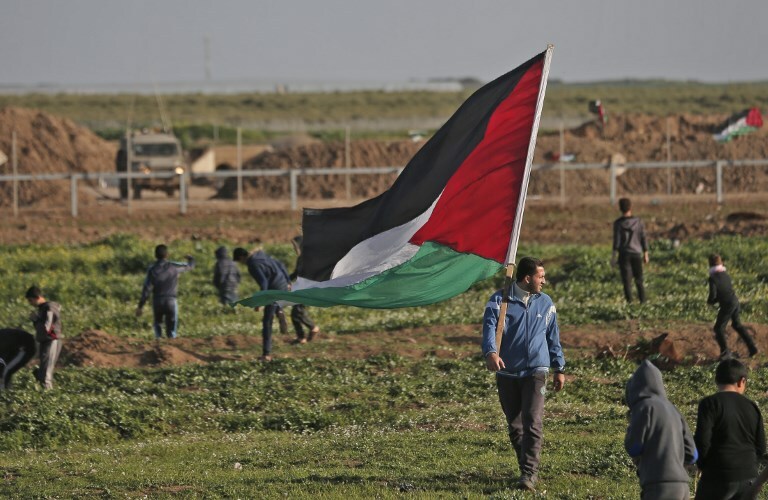 The Health Ministry said the soldiers killed a child, identified as Hasan Eyad Shalabi, 14, from the Nusseirat refugee camp, in central Gaza, after shooting him with live fire in the chest, east of Khan Younis, in the southern part of the Gaza Strip. "They are hurling rocks at (Israeli) troops and towards the security fence, as well as a number of explosive devices that did not cross the fence", a spokesman said. At that moment, the boy was struck in the head by a tear gas canister fired directly at protesters by Israeli forces. Gazans are protesting for Palestinians' right to return to their former lands in what is now Israel as well as the end to a crushing Israeli-Egyptian blockade on the enclave. At least 295 Palestinians were killed and about 6,000 wounded during the 46 weeks of clashes.